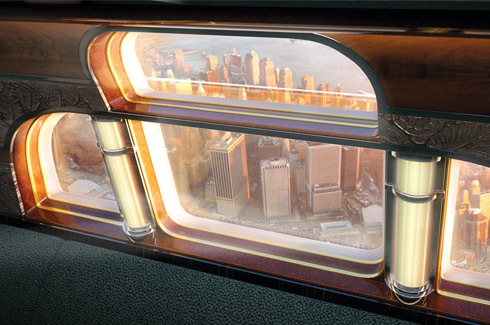 The golden age of air travel was spacious, classy & bold – It was a time when flying was a glamorous affair. Today, we at The Inside Track are reminiscing over airplanes that once featured piano bars, cocktail lounges, pubs and restaurants. Today’s airlines are up to no fun! The only thing we associate with airplane interiors are typically cramped seats and boring, monotonous décor. To begin with, most aircrafts in the 1950’s and 60’s did not have overhead bins to store carry-on’s. This meant more headroom. So in a way, we can say that it was our carry-on bags that took away the basic comfort of head space! 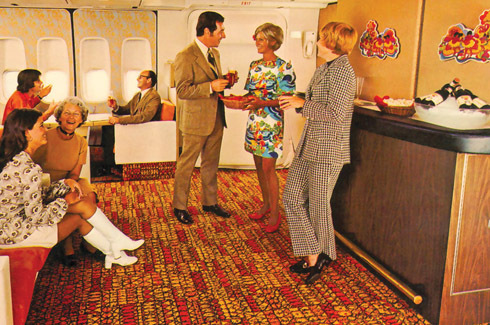 From fancy swivel chairs to refreshing martinis and extravagant cocktail lounges; the 70’s was without a doubt, the golden era of air travel. In those times, taking a flight was an experience that would be shared with close ones which is a complete contradiction with us viewing it as a ‘chore’ today. 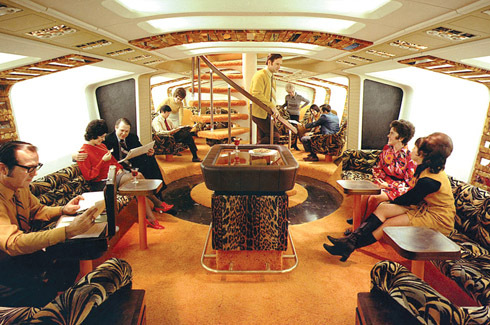 The 70’s era saw the upper decks of Boeing 747s’ turn into full-scale cocktail lounges and restaurants for first class flyers. On one hand, Continental Airlines had a pub while American Airlines had an infamous piano bar. So the competition for the kind of luxury provided was real and airlines actually cared for customer service! In the 1970s, Southern Airways billed itself as “Route of the Aristocrats” due to its policy of offering First Class touches to every passenger. The company probably needed those cushy pillows and free-flowing booze to take the edge off of its multi-stop routes. In the early 1980s, Continental Airlines outfitted some of their DC-10s with what they called a “Pub” configuration. Besides a walk-up wet bar and circular tables surrounded by swivel chairs, the Pub area also included a two-player Pong game. Pan Am’s 707 Clippers used to offer restaurant-quality meals served seat-side by an on-board chef on their Trans-Atlantic flights. 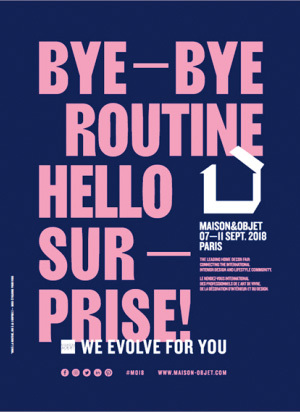 With bright and colourful interiors, table-side meat carvings, powder rooms and a free-flow of cocktails; air travel was a lot different than it is today. Blame it on the population or the economic growth, commercial flights today are no match to the ones from the yesteryears.